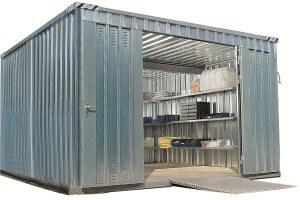 The storage container in kit set is ideal to store your equipment either you place it inside or outside. 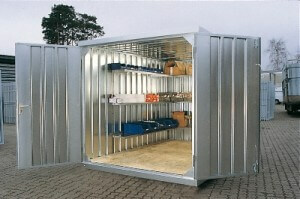 The diversity of dimensions and options allows you to get the storage cabin adapted to meet your demands. 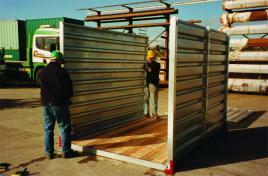 Let us know the specifications and requirements of your project though we can propose to you an adapted layout. 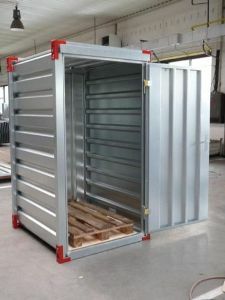 Indeed, the container is assembled and dismounted as many times as you want in just a few minutes. 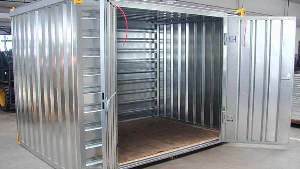 It can be stored dismounted to assure the smallest storage volume. 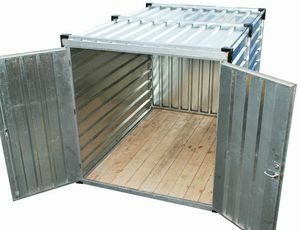 The storage containers are easy and cheap to transport by truck and/or ship. 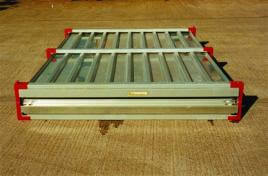 Strength of the floor 500 kg per square meter. 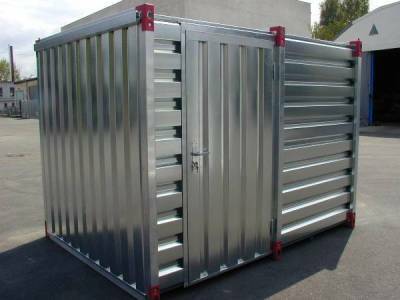 Made of anticorrosion galvanized steel. 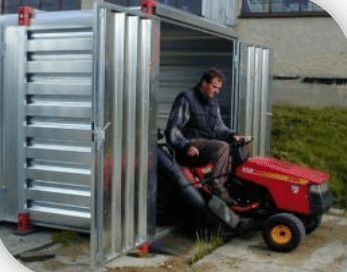 One product dedicated to many uses. 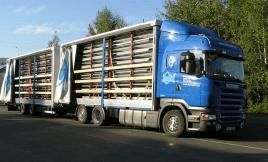 Low transport cost due to the flat packaging in kit set. 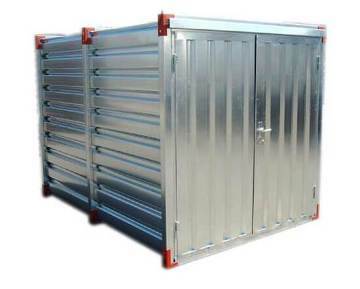 Highly sturdy at an unbeatable price. 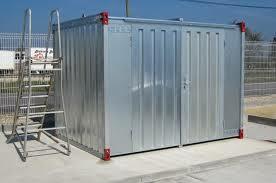 The storage containers in kit set are also very movable. 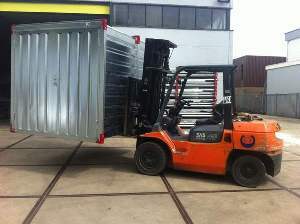 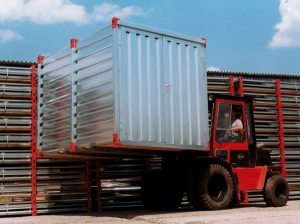 Containers can be easily handled by a crane or a forklift truck. 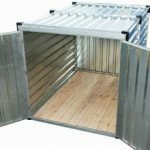 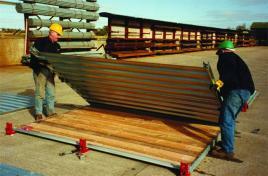 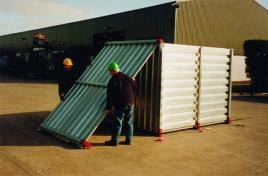 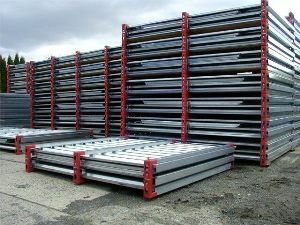 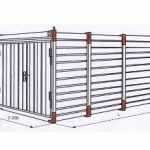 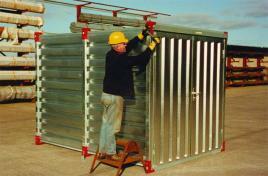 Our storage containers in kit form are 2.2 m wide and from 2.25 m to 6 m long. 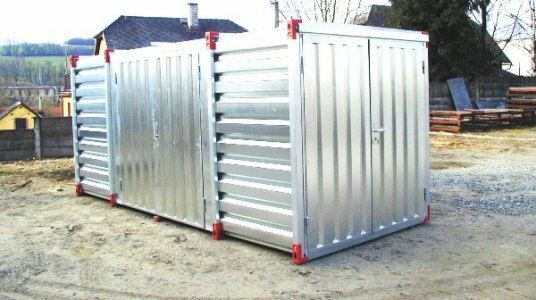 To satisfy more specific needs, a range of MINI storage container in kit form is also available. 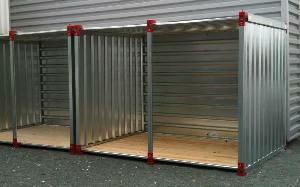 Double door (lock and handle included). 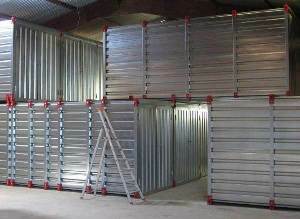 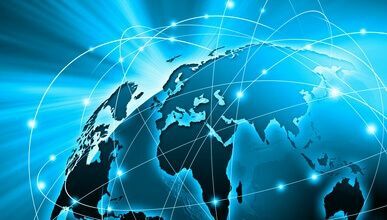 Contact us, we can propose to you the most suitable offer to your demand. 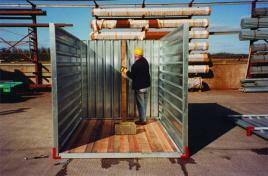 To assure more technical uses, modular technical rooms are also available.